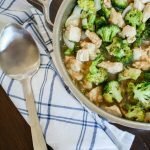 This simple dinner idea is a great way to sneak more veggies into your diet! Less than 10 minutes of prep time are needed to throw this dinner together, and it’s ready to eat about 30 minutes later. 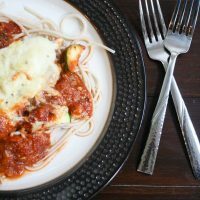 This update on the classic Chicken Parmesan is one the whole family will love! 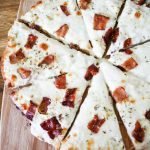 I’m all about easy dinners that just take a few minutes to prepare and don’t make too many dirty dishes. 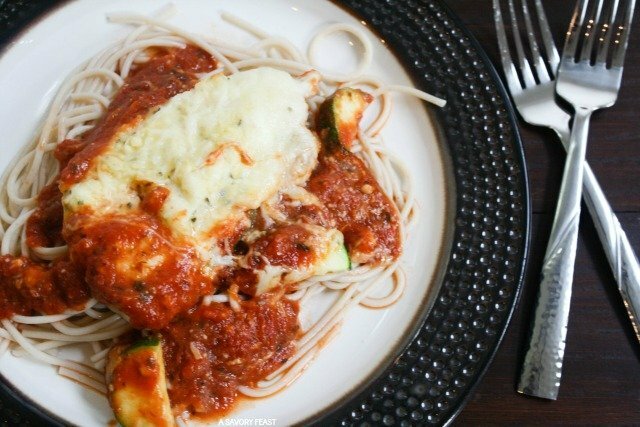 This Easy Chicken Parmesan with Vegetables is just that! Making homemade pasta sauce can be fun, but on most nights I just don’t have time for it. Instead, I like to keep pasta sauce in the house for when I need to throw a meal together in a hurry. 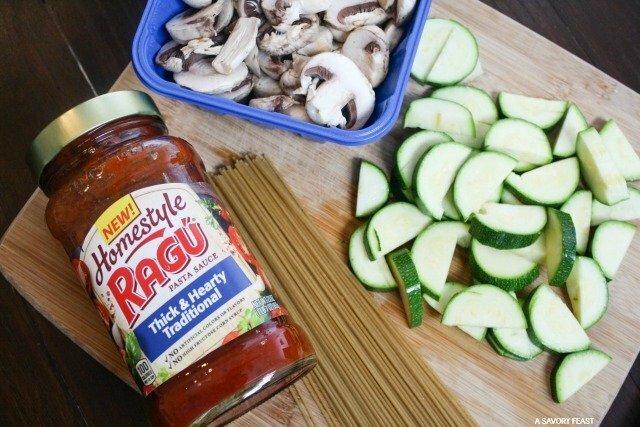 I love the new Ragu Homestyle sauces because they taste like they are homemade! I don’t have to worry about what’s in them, either. They are made without artificial flavors, artificial colors and high fructose corn syrup. This is a little bit healthier update on the classic Chicken Parmesan. I didn’t use bread crumbs on the chicken, and I added lots of vegetables. I also used a gluten free brown rice noodle for my pasta, but you can use whatever variety you like. This dish would also be great served over rice or quinoa. I love how zucchini tastes with pasta sauce! Personally I’m not a huge fan of mushrooms, but I try to add them into recipes when I can since my husband loves them. Especially with a dish like this where I can just eat around them! 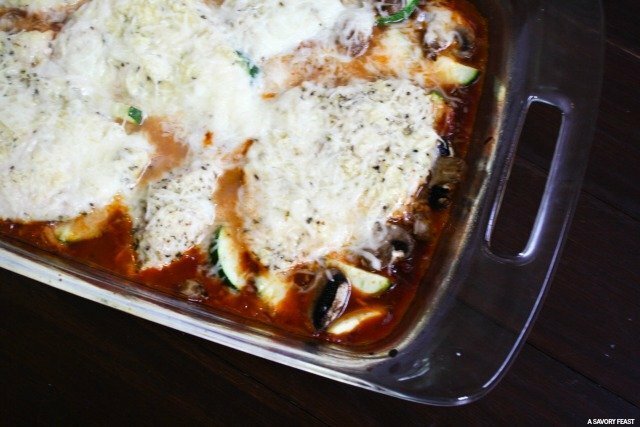 You could also try different vegetables for this meal if you aren’t a fan of zucchini or mushrooms. 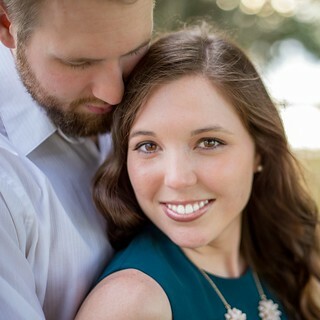 If you give something else a shot, be sure to leave a comment and let me know what you tried! 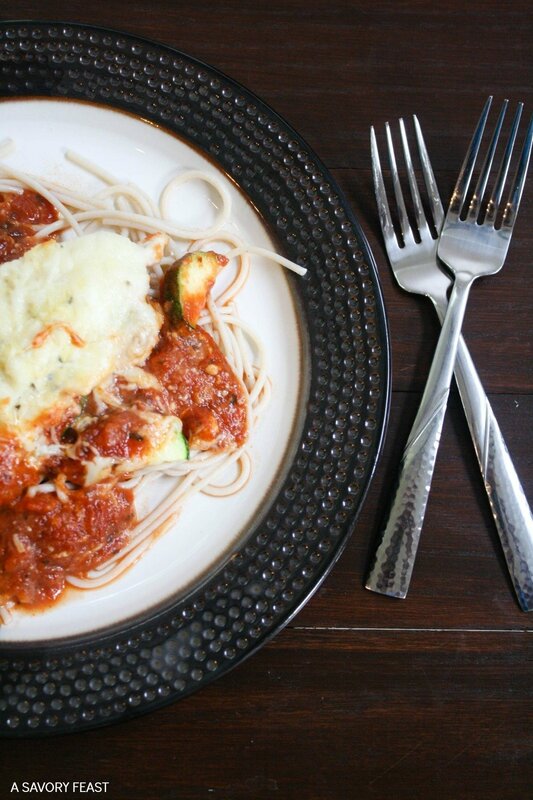 I’m trying this easy and healthier Chicken Parmesan with Vegetables from @asavoryfeast soon! 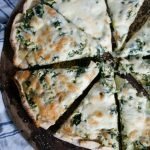 This simple dinner idea is a great way to sneak more veggies into your diet! Less than 10 minutes of prep time are needed to throw this dinner together, and it's ready to eat about 30 minutes later. This update on the classic Chicken Parmesan is one the whole family will love! Preheat the oven to 350 F. Spray a 9x13 inch glass baking dish with cooking spray. Pour the pasta sauce into the baking dish and spread evenly. 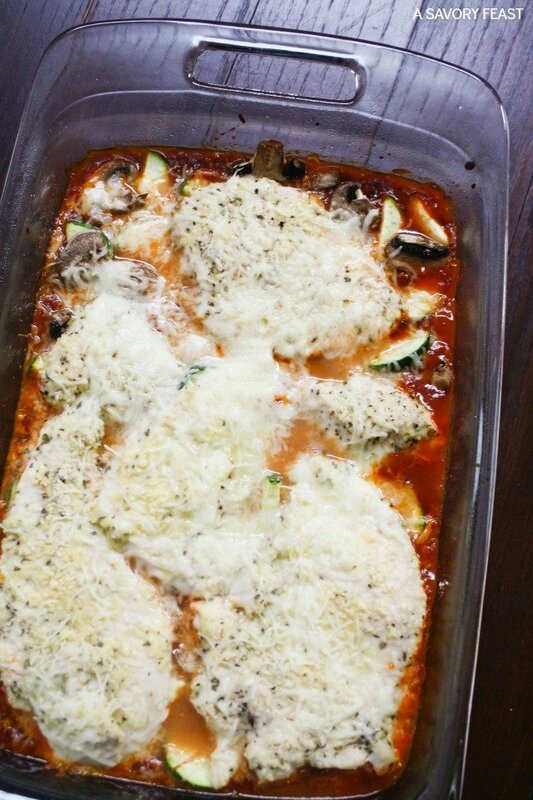 Sprinkle the zucchini and mushroom slices over the pasta sauce. In a small bowl, beat the eggs. In another small bowl, mix the parmesan cheese with a few shakes of Italian seasoning, salt and pepper. Dip the chicken into the egg pieces to coat. Next, dip them into the parmesan cheese mixture, coating completely. Place the chicken in the baking dish. Repeat for the remaining pieces of chicken. Sprinkle the mozzarella cheese over the chicken. Bake for 25-30 minutes or until the chicken is completely cooked and the veggies are tender. While the chicken is baking, cook the spaghetti noodles according to the directions on the box. Serve the Chicken Parmesan, vegetables and sauce over the noodles. 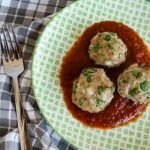 To make this meal gluten free, you can serve over rice or quinoa instead of spaghetti or use a gluten free pasta. You can also use different vegetables if you like. What is your favorite way to sneak extra vegetables into a meal? I am trying this healthier chicken parm immediately. Looks delicious!